The PREAMP is of wideband design. Please note that for certain applications, a narrow band design would be more desirable. 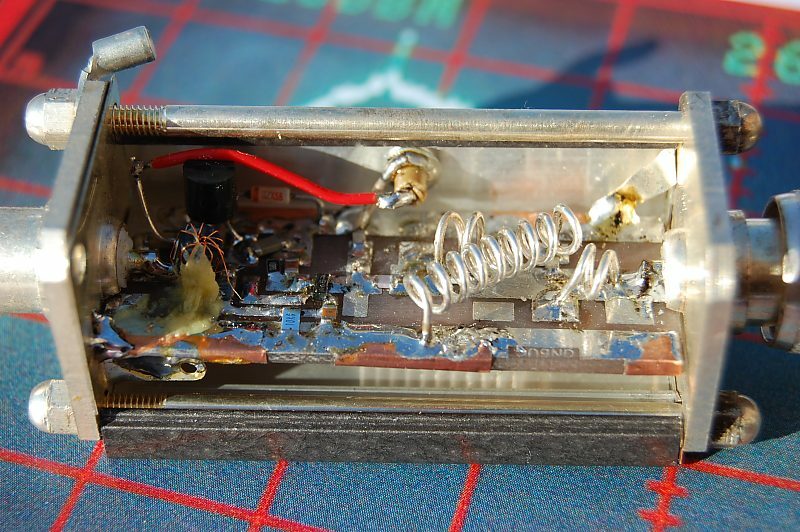 Be sure that the preamp is not overloaded by nearby FM broadcast or utility VHF-signals etc. Simplicity and repeatability are featured in this 1-waat S-band amplifier design. The design uses an MRF2001 transistor as a common base, Class C amplifier. The amplifier delivers 1-watt output with 8 dB minimum gain at 24V, and is tunable from 2.25 to 2.35 GHz. 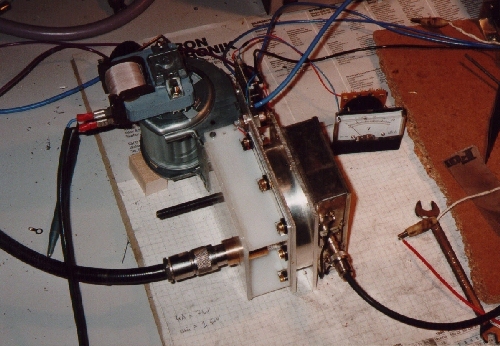 The prototype for this amplifier was originally designed for 70cm and was used on the 2004 '3B9C' Dx-pedition to Rodriguez Island for satellite and EME. It had a noise figure of 0.49dB with an associated gain of 20dB. This is how all is assembled: A table just below the roof with my 23cm transverter and the power amplifier. Below the table you will see a battery of capacitors which should support the much too small transformer. A Low Noise Antenna pre-amplifier (LNA) is a simple unit which offers spectacular improvement in the quality of receiving signal, especially when the signal is very weak and it comes from long distance. This is a usual receiving condition in the Satellite reception, EME and UHF DX-ing.